*** Ensure that the SIM card has been activated FIRST with a mobile phone plan (Telstra, Optus, etc). The SIM card will usually be fitted by fleetminder when you place your order. 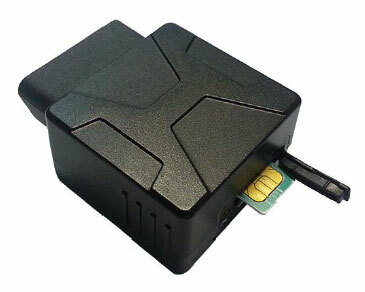 If you do need to fit a SIM, open the SIM card cover, insert the Micro SIM card into the OBD300 device and push it in gently, then close the SIM card cover. Locate the OBDII port in your vehicle. If you cannot easily find it, consult your vehicle’s manual or ask a local automotive mechanic to find it for you. Plug in the OBD300 device into your vehicle’s OBDII port. It can only go in one way. Option: Use the purchased optional extension cable if you wish to hide the tracker within the dash OR you discover that the OBD300 is not getting a good GPS or 3G signal and you need to elevate it. Option: Fit the duress button (if required). After connection to your vehicle, all the LED lights should illuminate (may have to wait 1-2 minutes). Check the user’s manual for details (click here to download). Follow the SMS command instruction sequence in the user’s manual to obtain the vehicle’s location. To the device’s mobile number, you’ll receive a Google Maps link back. *** Prepaid SMS credits must be purchased first. Follow the troubleshooting steps in the user’s manual.